Photography and America’s National Parks celebrates the National Park Service centennial at the George Eastman Museum. Untitled #10, 1974, by Marcia Resnick. George Eastman Museum, museum accession. This year marks the 100th anniversary of the formation of the National Park Service. To commemorate the centennial, the George Eastman Museum in Rochester, New York, will present an exhibition about our parkland and how we see these spaces through photography. The exhibition includes more than 170 images, many of which are part of the museum’s permanent collection. Allen said she would have loved to have shown images from all 59 national parks, but she said she had to limit herself somehow. As a result, she said, the exhibition is about three ideas. 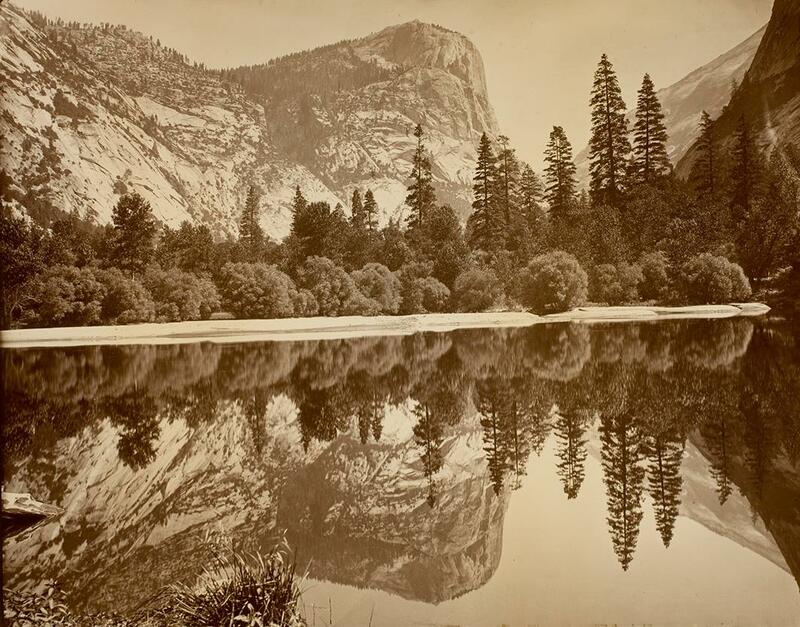 The first demonstrates the influence early photographers, including Carleton Watkins, had in creating an “established view” of the iconic lands. 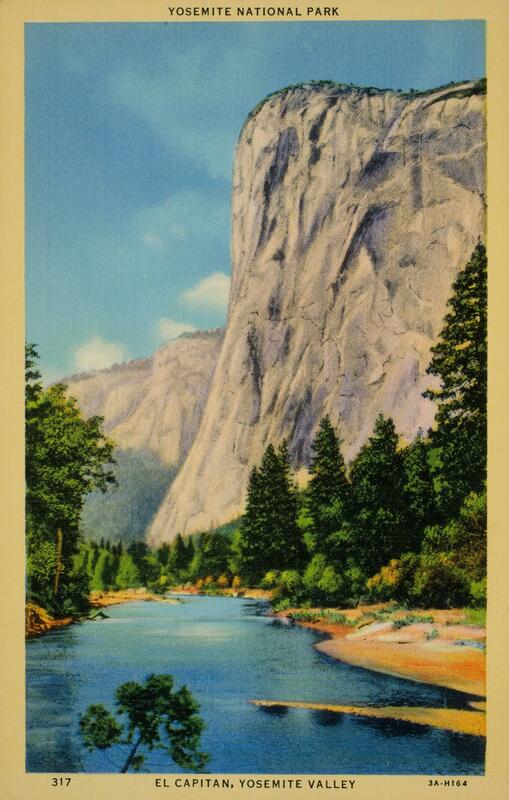 Allen pointed to El Capitan in Yosemite National Park as an example. Once Watkins and Eadweard Muybridge photographed the rock formation, “Every 19th century photographer who went to that site took the same picture, as did Ansel Adams; so it just perpetuates through time,” Allen said. “They established the sites that we return to time and time again in photography and that we still go to today,” she said. 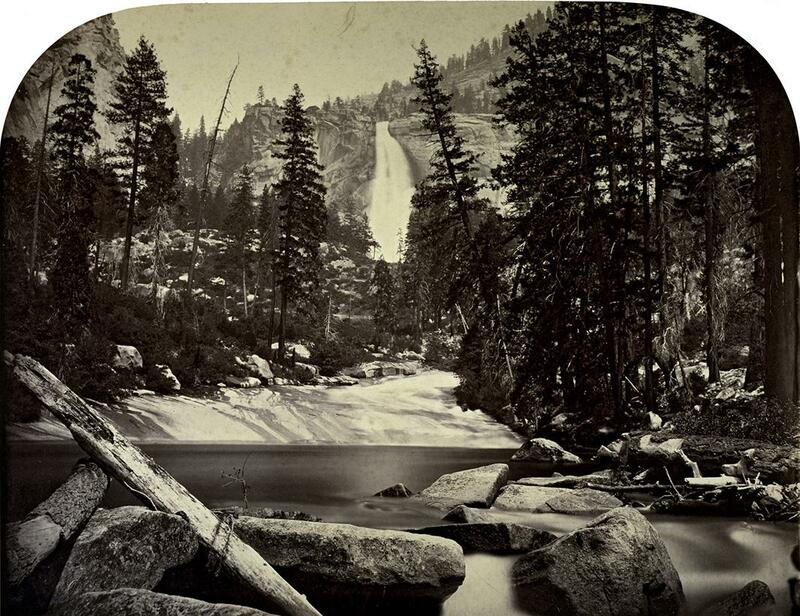 Yo-wi-ye or Nevada Falls, 1861, by Carleton E. Watkins. George Eastman Museum, gift of Alden Scott Boyer. Mirror Lake and Reflections, ca. 1872, by Eadweard J. Muybridge. George Eastman Museum, museum accession by exchange. 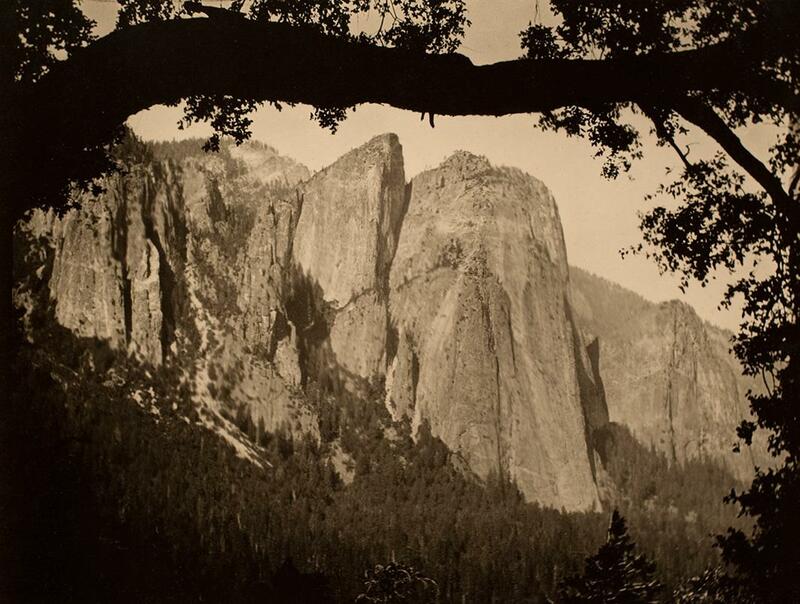 The Three Brothers, Yosemite, 1911, by Alvin Langdon Coburn. 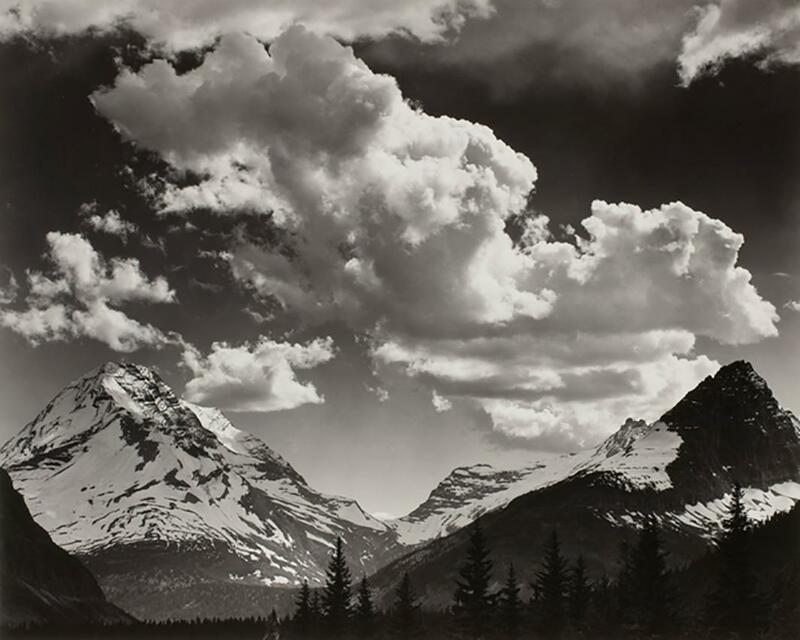 Noon Clouds, Glacier Park, Montana, 1942, by Ansel Adams. George Eastman Museum, gift of the photographer. Copyright Estate of Ansel Adams. Third, Allen said, the exhibition highlights tourism, since photography draws visitors to the sites. “There are photographers who established themselves within the park and kind of perpetuate the same views the exploration teams had taken, but those [images] became popular things people buy,” she said. 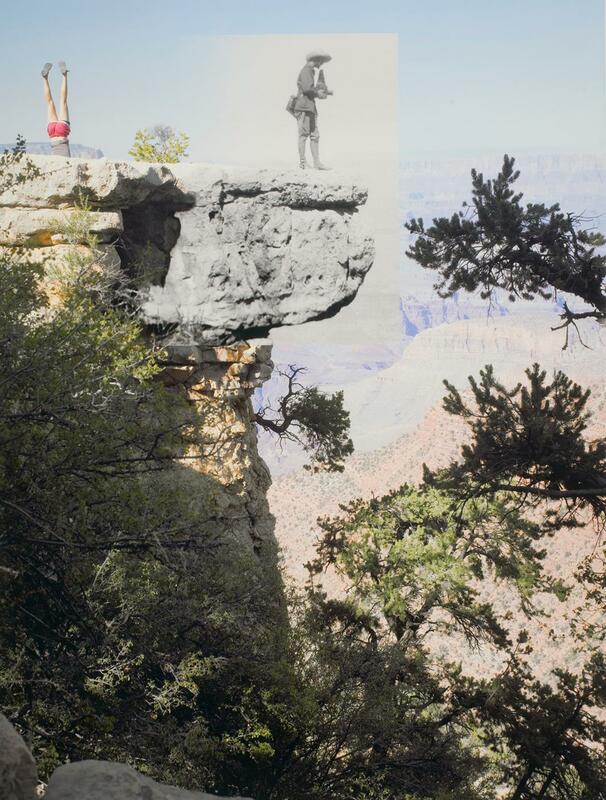 At first, those images were stereo cards that allowed viewers to get a three-dimensional look at the areas; later, postcards and snapshots became popular ways to document their trips into the parks. 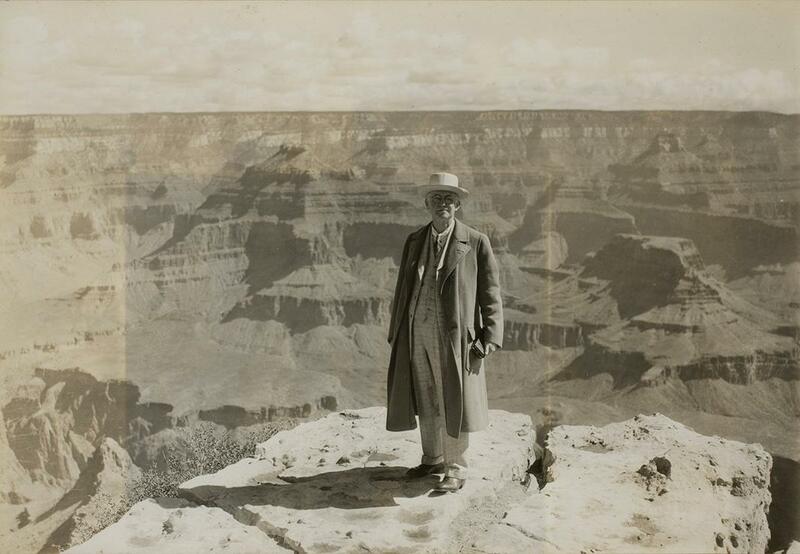 George Eastman at the Grand Canyon, July 12, 1930, by Audley D. Stewart.George Eastman Museum, gift of University of Rochester. Yosemite National Park. El Capitan. Yosemite Valley, ca. 1940, by Western Publishing & Novelty Company. George Eastman Museum, gift of the 3M Foundation, ex-collection Louis Walton Sipley. 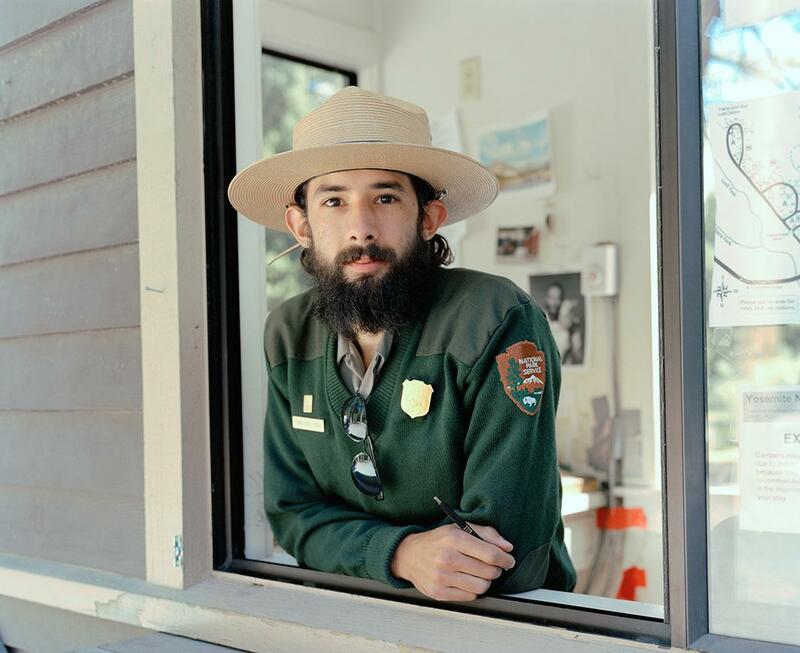 Chris, Campground Ranger, Tuolumne Meadows Campground, 2014. From the series Yos-E-Mite, by Michael Matthew Woodlee. Courtesy of the artist. Copyright Michael Matthew Woodlee. 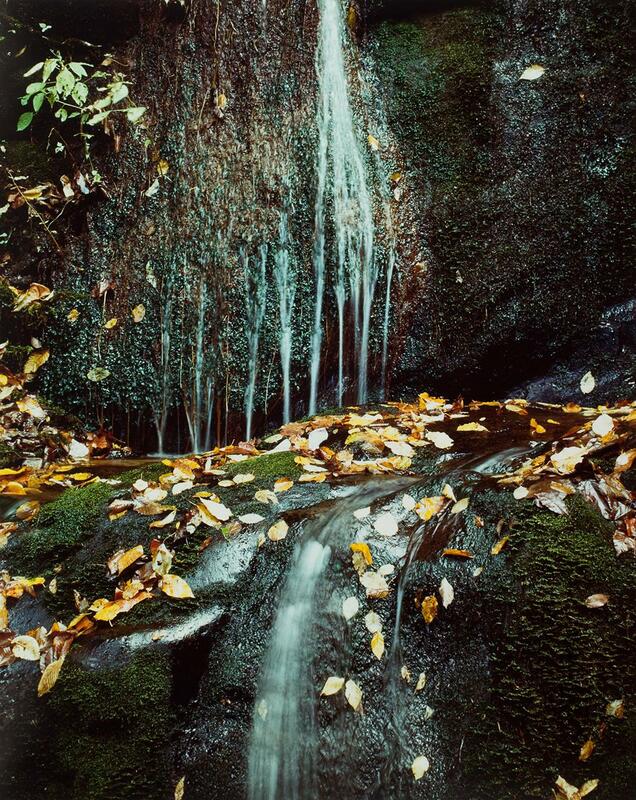 Running Water, Roaring Fork Road, Great Smoky Mountains, October 10, 1967, by Eliot Porter. Copyright Eliot Porter. Allen said she enjoyed “digging through the boxes and drawers of these fantastic prints” in the Eastman collection and took on loan mostly contemporary images that the museum didn’t have in its collection to round out the exhibition. Including newer works was significant because of the trajectory of photography’s history and its relation to the landscape. 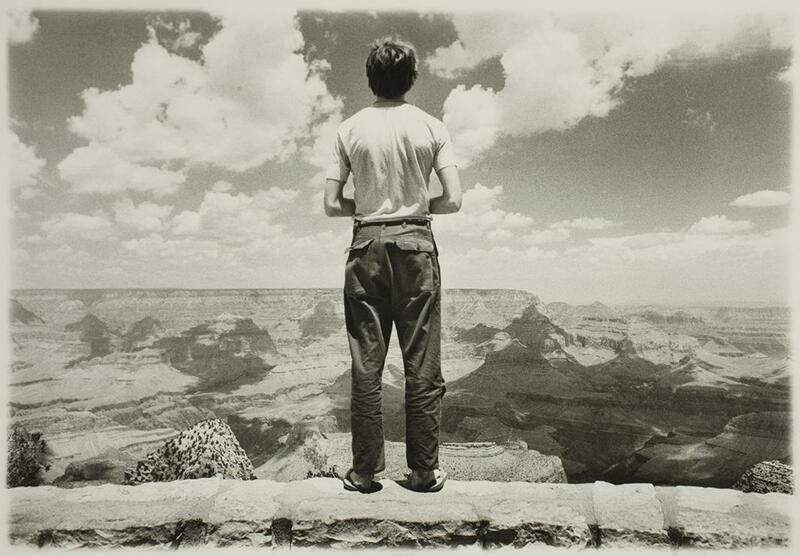 “Photography and America’s National Parks” will be on view from June 4 though Oct. 2. Woman on Head and Photographer With Camera; Unknown Dancer and Alvin Langdon Coburn at Grand View Point, 2009, by Mark C. Klett. George Eastman Museum, gift of the artists. Copyright Mark Klett and Byron Wolfe. 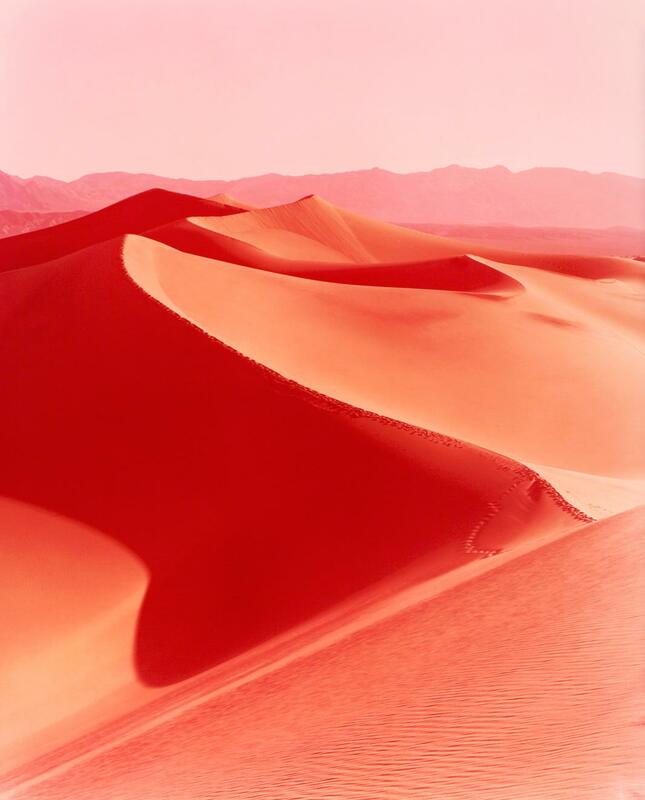 Sunrise on Mesquite Flat Dunes, Death Valley, California, 2013, by David Benjamin Sherry. Copyright David Benjamin Sherry.